The German government of Chancellor Angela Merkel is stuck between a rock and a hard place as it appears the Iranian Mullahs want to fly out €300 million (in cash) from an Iranian-German bank in Hamburg to Teheran as the American withdrawal from the Iran nuclear deal has sent their currency in doldrums and their government members are desperate for foreign cash. The biggest German newspaper Bild reported the story yesterday for the first time and since then many conservative politicians have been asked by the press whether they would approve the transfer to take place. The Iranian government is faced with severe difficulties for its government members now that the official currency, the Iranian rial, has been in free fall ever since the White House administration of Mr. Trump decided to withdraw from the six nations nuclear deal. Iranian President Rouhani visited Europe earlier this week, but with the EU Presidency now squarely in hands of Austria, whose Prime Minister Sebastian Kurz sees eye to eye with US President Donald Trump on the Iran nuclear deal, the news he received in diplomatic circles was not good. 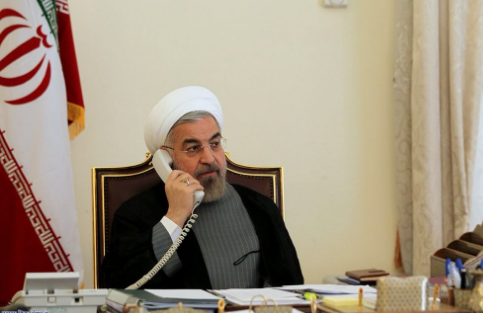 Mr. Rouhani stated that the offers “proposed by the EU do not contain concrete and practical solutions." According to Pegah Rifsan, an Iranian journalist, the mood in Tehran is slowly shifting: "We danced on the streets when the deal was signed. We supported Rouhani and his policies as he represents our interests. The withdrawal from the agreement by the US was a declaration of war on the Iranian people. The EU should support our desire for peace." Saudi Arabia and Israel are the primary sponsors of terrorism in the region though. Unless Germany want a big wave of immigrants caused by another state being destroyed to make way for bigger Israel then they really should let them take back the money that's rightfully theirs.